Zend Framework 2 is a big step forward compared to the previous version. Rob Allen also created the Zend Skeleton application you could use as a start point for your own development. Another scenario is to have additional non-ZF2 script as a subfolder of your ZF2 application. The Zend Skeleton application doesn’t allow you to do anything similar because all requests are handled by index.php. Maybe you could solve problems by changing .htaccess files, but the only solution I found to efectively solve both problems is to transfer all files and folders from the public folder to the root folder of the application. 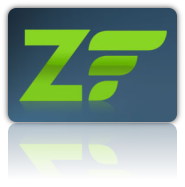 Now you are free to organize your or client’s website as you wish, you can both add ZF2 application into website’s subdirectory and install any other 3rd party script into the ZF2 application as well. If you have any other suggestion(s) add in the comment form below. Hi Thanks for posting this one question. Should I change something on the .htaccess? if so what should I add or change? Hi, Gaston. No, you don’t need to change anything in the .htaccess file, but it’s important to copy .htaccess file from the public folder in your application’s root folder, as I wrote in the article.